I think Material Man should get a few votes from the west, after today! I only wanted one. Not eight. Sadly Vianden wont be getting any votes, he died. Okay, I’ll bite. Why did you? Because I own a part of him. So greed or self interest? What are the arrangements for mounting yard tickets at Flemington? Obviously can’t accommodate even 5% of the owners. Some kind of random ballot? Call it what you will, but I wont apologize for the rules being what they are and having a live prospect of a runner in a $5 million race. So no discussion by the syndicate manager as to who gets the 20(??) mounting yard tickets? I imagine there would be plenty wanting a guernsey which of course is not possible. Hasn't got that far yet, but a ballot is usually how they do it. 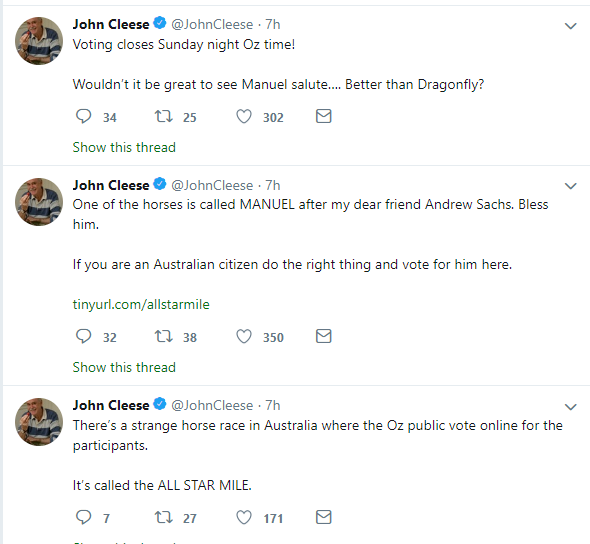 Still has to be voted in yet, Just lost the lead in the vote count to a horse who isn't going there according to his trainer. Is a mile the right distance for this race? 1200 or 1400 I think you'd get more public interest and better horses given the modern focus on breeding sprinters. Looks as if they set it all up to get Winx there the first year and now she's not there it's left wanting. Also there's a lot of options for mile type horses at this time of year, the not knowing if you'll get in until the last minute as they are with Happy Clapper type horses who are guaranteed runs in other races can't be ideal for trainers. I guess, in this day and age, it is the way of the world that everybody looks after their own self interests. Your post indicates you race horses that are only good enough to win maiden and class racing. As a punter, I hate maiden and class racing. It is my belief that the focus on maiden and class racing to increase the number of races to meet TABCORP requirements under the terms of the joint venture agreement is what has caused the quality of Australian Racing to diminish. To make it even worse, Racing VIC and Racing NSW random approach to just selecting certain races and also creating new races with huge prize money boosts like the Everest and All Star Mile just make it worse. The authorities have totally got it wrong. The focus should have been on less racing, more quality. Prize money should have been focused across all races and instead of races being downgraded or Disappearing or being moved in the calendar, Group racing overall should have been strengthened, meaning you would have needed to breed a better quality horse to be competitive. Now we have thousands of ordinary quality horses being catered for, and the elite horses just pick and choose where they want to race, and avoid clashing with each other. They quite often pick up easy money racing against small fields or little competition. There will be Punters that love benchmark racing, so to each their own. The first rule of business is build your asset base and build your company. A lot of the money that is now being thrown away on prize money should have been spent on infrastructure. We have no choice but to bet at home, because the food, the facilities, the betting auditoriums, the media and data facilities etc... are either c.rap or non existent on track, and even worse, at times, so is the condition of half of the tracks. This race is a 3 year project directed at bringing new interest and new owners into racing. If this was marketed as a $5m race for Alizee, Land Of Plenty, Grunt, Happy Clapper et al, it would be a big yawn and nobody would give a rats. They would not be engaging their families and friends as well as strangers to look at his race and be involved, if nothing other than a chance to win $250k for nothing. There are hundreds of thousands of people engaging with this race that would otherwise not cared, in part because of the publicity horses like UR, MOHW Moss n' Dale and others have generated.How many average Australians would know what a Group One race was? All they know is that their friend or family member has a runner in a $5m race, and that is a big deal to them. Apparently the race is engulfed in scandal. 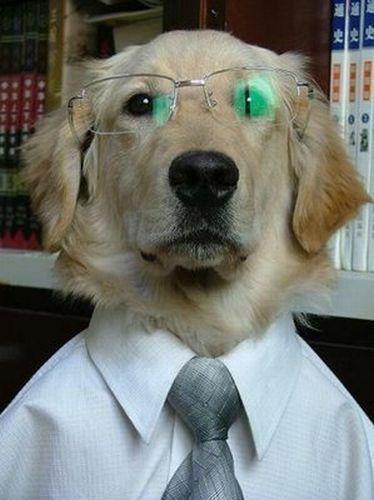 Yep, I think they have removed your dog's vote now djebel. 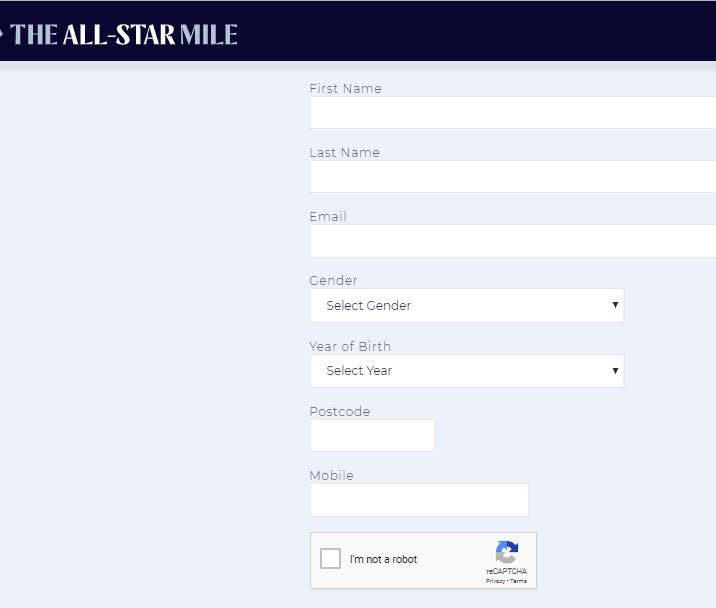 Racing Victoria is conducting an audit of All-Star Mile voting after it was revealed it had been compromised by a loophole that has allowed individuals to vote multiple times. RV acted hastily yesterday to remove the loophole but not before it discovered that thousands of votes had been registered against the one-vote rule. This means the All-Star leader board is inaccurate and will be recalibrated once the corrupt votes are removed. RV executive general manager of racing Greg Carpenter said no more than two per cent of 120,000-pus vote – about 2400 votes – had been corrupted and that the top 20 horses in the vote would not be affected when the tally is adjusted. Carpenter said removing the serious glitch would be a priority before voting begins for next year’s All-Star. The flaw was revealed by a Berwick bricklayer yesterday, who contacted RSN 927’s “Unbridled” column and sent screen shots of his multiple votes, made possible by simply setting up a series of gmail accounts. I'm sorry, I was under the impression it was obvious you could do that and Racing Victoria just didn't care enough to fix it.. if they genuinely didn't know that was possible... what kind of moron was in charge? If they wanted it to be closer to one vote per person they needed to go down the mobile phone number route with confirmation texts for your vote and blocking one use numbers. What are you trying to prove with the screenshot? You do have to submit a mobile phone number. Your wife's phone, your kid's phone, your work phone, your next door neighbors phone will do. Yes, and because the vast vast majority of people only have one phone that means it's really one vote per person - you can have infinite e-mail addresses and the confirmation is required by your e-mail, not your phone. Similar to the vast majority of industry standard verifying measures it should send the mobile number a six digit code to enter within five minutes. The current voting all it does is send a confirmation to your e-mail address. Really just shows the flaw with racing - these industries need to hire younger tech savvy people not only for incredibly obvious stuff like this, but just for different thinking in general. Why have the additional slots then that I imagine will go to top horses? I'm just saying they need to decide if it's a battlers race or an 'all stars' mile. Having horses in it with absolutely no chance is not really going to improve the standing of the race. Why not have two races, one for the all stars and one for the others, if they want to give the battlers a chance.